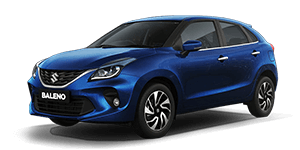 When it comes to the subject of the Best Mileage Cars in India, various Indian auto companies will rush to declare one or all of their cars as the best mileage car that one can buy in India today. The proof of the pudding, as they say, is in the eating. Going by available figures, the honour of producing the best mileage car in India goes to Maruti Suzuki, the favourite motor company of all Indians. Yes, you heard that right- the best mileage cars is definitely a Maruti Suzuki. The figures say it all– the top three cars of the country which are the best mileage cars in India are- Maruti Dzire Diesel– 28.4 kmpl, Maruti Ciaz Diesel SHVS- 28.09 kmpl and the Maruti Baleno Diesel– 27.39 kmpl. But did you notice one thing- all three best mileage cars are diesel vehicles. Surprised? Don’t be…..we’ll tell you what makes a diesel car the best mileage car today. So what makes a diesel car the best mileage cars? In the days of yore, diesel cars were cars for truckers, transporters and trailer-owners. Say the word diesel vehicle, and it would bring to the mind, visions of large, bulky, ungainly, clunky, carbon-fume-spewing trucks and lorries. Petrol cars were the cars of choice for true car connoisseurs, and diesel cars were to be avoided like the plague. Well, all that is a thing of the past. Today, diesel cars are sophisticated, powerful, mean beasts, coveted even by die-hard petrol-heads. Diesel cars, today, are marvels of advanced engineering, and are the best mileage cars on the road today. Yes, seriously. Diesel engines have undergone a 360 degree revolutionary change. Engines used in diesel cars are now designed keeping in mind the properties of diesel. The advanced engine of a diesel-run car makes it the best mileage cars. The compressive strength of diesel as a fuel is very high. Its inherent nature enables it to provide a higher torque as compared to the petrol engine– 20-30% higher. Diesel is 15% more energy dense than petrol. In simpler terms, it means that a litre of diesel has 15% more output energy than a litre of petrol. This enables the car to use less fuel while covering a greater distance, thus making a diesel car the best mileage car in India today. Diesel cars have a compression ratio of 20:1 against petrol engines, which have a compression ratio of 8:1. Such a high compression ratio means that air in the cylinders is heated to super-high temperatures because of being super-compressed. Therefore, as soon as the fuel is injected into the combustion chambers, it ignites. As it consumes less fuel to start, it gives a better mileage. Although a simple difference, it is an important reason that makes a diesel car the best mileage cars. High compression ratios also enable the engine to squeeze out more energy from the fuel, leading to a higher rate of fuel efficiency. Thus, diesel cars are able to give fuel efficiency that is up to 30% higher that their petrol counterparts. That is excellent bang for every buck spent on fuel and makes the diesel car the best mileage car in India to save fuel in long distance travel. In petrol engines,the fuel demand varies with the air intake, as there is a mixture of air and fuel supplied with acceleration. This gives very high power compared to diesel engines but not fuel efficiency. There is also a high degree of wastage of theair-fuel mixture whenever the car brakes are applied suddenly, thus reducing fuel efficiency. Therefore a petrol-run car is more powerful, but not the best mileage cars. In diesel engines, only air is supplied during intake cycle. This air is compressed, which makes it hot and supercharged. When diesel is injected into the combustion chamber by fuel injectors, it gives instant ignition and better torque, without the need for spark plugs. Thus this process consumes less fuel. Also the wastage of fuel is reduced on applying brakes or slowing down the engine. Therefore, a diesel-driven car will always be the best mileage car you can buy. Maruti Suzuki, as a brand, stands for constant innovation and revolutionary advancements in its cars. That is the reason why it manufactures the best mileage car in India today. Other than the top three best mileage cars in India, it also has the Maruti Ignis Diesel – 26.8 kmpl,Maruti Swift Diesel– 25.2 kmpl and the Maruti Ertiga Diesel – 24.52 kmpl, in the list of best mileage cars in India. 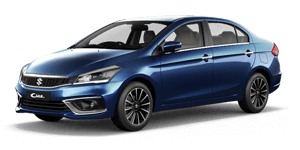 Shivam Autozone is a prime dealer of Maruti Suzuki vehicles in Mumbai. We have the widest range possible of the diesel variants of Maruti Suzuki vehicles. Our cars cater to all kinds of budgets too.Shivam Autozone has the petrol variants also, for those who wish to stick to the tried and tested petrol variety. If you are looking for the best mileage car, you know where to go. Visit your closest NEXA Shivam Autozone showroom, and check out the best mileage car in India! Also Read : TOP 10 CAR MAINTENANCE TIPS FOR THIS MONSOON.